I got the dates wrong for our bus tickets from Baracoa to Santiago and then to Camaguey, so we took a 1950 Chevy (with a Mercedes diesel engine) the whole way. Great photo and what a gorgeous couple! 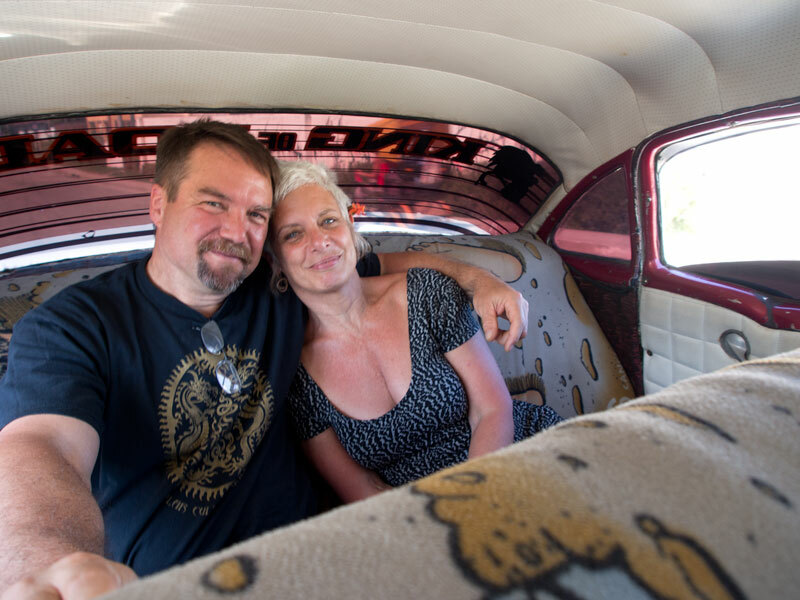 Great pic of a cool car interior and a very attractive couple! I'm so glad Jane can join you on your travels this time. Yay! The wife is with you.